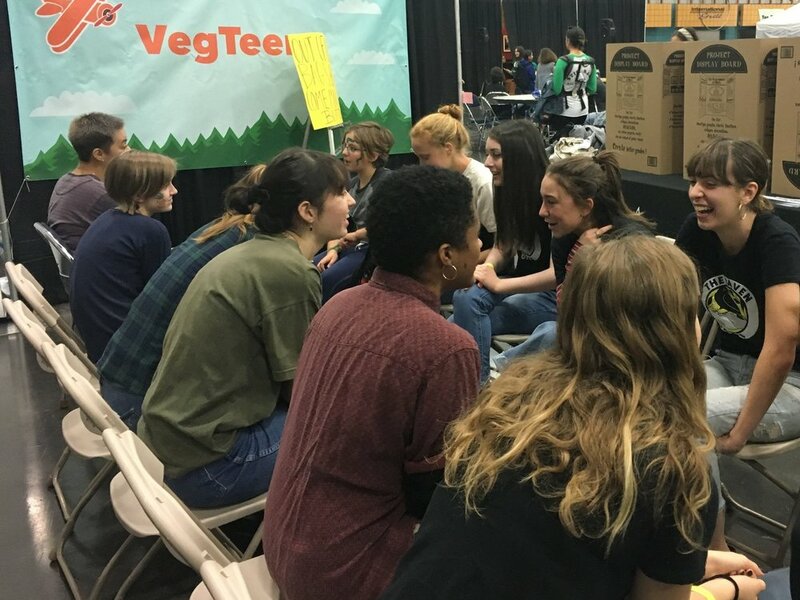 We are forging a unified front for a new, sustained youth advocacy movement that promotes environmental sustainability, compassion, and community through a plant-based diet. We believe in a better world through a better food system. Our food system is broken, and animal agriculture is an egregious part of the problem. It is literally destroying our natural world as one of the leading causes of climate change as well as deforestation, water depletion, dead zones in oceans, the list goes on. It unleashes unspeakable cruelty upon billions of sentient animals, exploits its workers, and is increasingly identified as a detriment to human health. But we CAN fix it. We can build a better food system by simply eating more plants and saying “no” to a meat, egg, and dairy-heavy diet. By promoting a plant-based diet, we are fighting for breathable air, clean water, compassion for ALL animals, and a kinder, more sustainable world for us and for generations yet to come. We empower, support, and mobilize youth activists, “Ravens”. Through our innovative Raven program, we give young advocates, aged 14 - 22, the support and resources they need to courageously promote a plant-based diet within the spaces they know best, their own communities. Using “The Four Phases”, a model designed to hone activism skills, Ravens create and conduct smart, individualized advocacy projects and campaigns, “Operations”, that have the power to change hearts, minds, and habits. The Corps provides essential guidance and resources to Ravens every step of the way, helping passionate young people become plant-based advocacy powerhouses within their own communities. Learn more about The Ravens here. Ready to apply? Click here. We create a safe space for young activists to share their experiences, build meaningful friendships, and learn from one another. Through fun, community-based programs, like Growing Beyond the Recipe, and events designed to create a communal bond, we provide engaging opportunities for young people to connect and join forces over a shared vision for a better future.